What does freedom mean? What does it mean to you? Our perception of such can be a very personal thing. My perception of freedom has changed recently and here’s why. Many years ago, whilst learning the art of Crystal Healing, I was told that I needed to work on my root chakra because I was ungrounded. The actual words said were a little more explicit and wounding than that, and so I went into a long phase over many years of working on my root chakra. To my understanding, in my teachings of such, the root chakra is all about our sense of safety, connectedness to the Earth, of stability, of action in the world. When not receiving enough Light and working in harmony with the subtle bodies (aura and chakras) our root chakra may be weaker and so we may feel ungrounded, unable to manifest our dreams, feel unsafe in the world, feel like we do not belong and are unable to take the right action we need to be able to drive forwards on our pathway. This for me, is old paradigm! 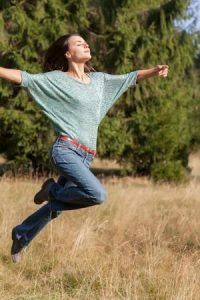 After my second Pellowah Healing attunement – I heard the words clearly – ‘now you are free, now you can dance in the Light.’ As the attunement to Pellowah energy comes directly from Cosmic Source origin – it is the ultimate source of Light and creation. Instantly, I understood what freedom means and what it means to Dance with the Light. 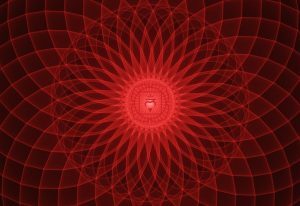 If we look at the root chakra from a 3rd dimensional perspective, we will understand that the root chakra is all about everything I mentioned above. Feeling safe, manifesting upon the Earth, providing materially for ourselves – food, warmth, shelter. However, when we become more reconnected to the Light, a different and subtle shift begins to take place. The heaviness of the world we live in or perceive begins to become ‘lighter’. 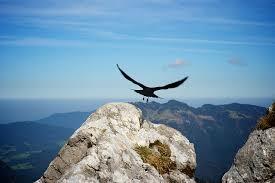 We can see things for what they truly are and are able to rise above our difficulties with more ease than before. From a 5th dimensional perspective, the root chakra is for sure about being here on the Earth, it is most certainly about being joyful in our Earth bodies and enjoying all the delights that being in physical body can bring! However, its so much more than that. When we are flooded with Light, becoming lighter, the nature of our root chakra becomes an energy of sheer delight and Joy! (without the heaviness) Through being lighter and in knowing and working on our Soul’s mission or dharma in this Earth lifetime, we begin to experience a sense of freedom as we start to realise and see the world with ‘real eyes’. Life is simple, life is focussed. We are focussed on our dreams and bringing through that which is our mission – that which we are passionate about – and thus the steps we take upon the Earth become a dance of Joy in each day. So, we are free! We are free because we are doing are Soul’s mission – we are dancing on the Earth with the Light! As we dance upon the Earth with our own Soul’s rhythmn, our heart opens more and more creating a flow, a portal of love and light between heaven and Earth. We are free, living as we are destined to be. If you are unsure what your soul’s mission is – I can help you through reading the Akashic records in a Soul Reading for you and or through giving you a Pellowah healing session either one to one or as a distance healing. Please email me at [email protected] for more information.